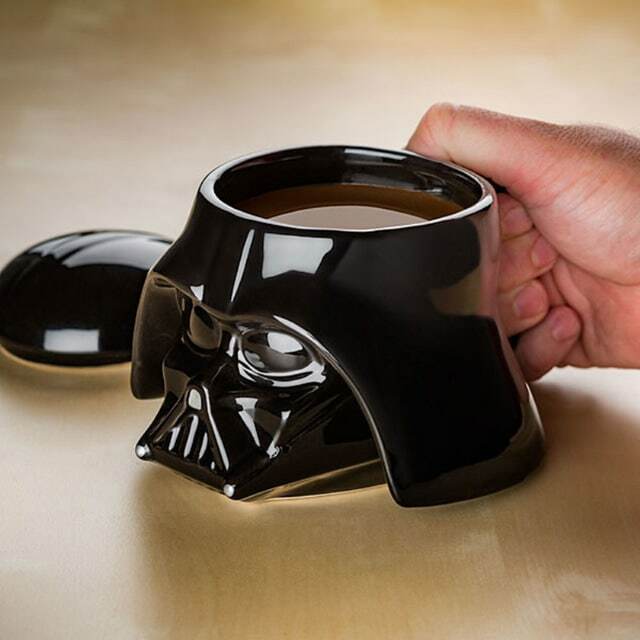 Darth Vader just does not seem like a morning person, but he does like his private Star Wars Darth Vader Mug. Coz when you’re the Sith Lord, it’s best to be alert at all times. That’s why Vader drinks his dark roast from this Star Wars Darth Vader Mug. Why? 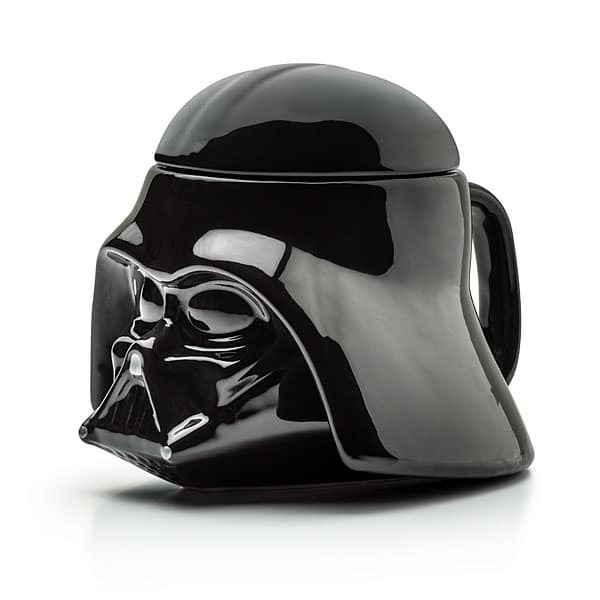 Because it holds 24 glorious ounces of liquid fuel. Of course, once he’s got the helmet on, it requires some complicated maneuvering and a straw. But, as you know, great coffee’s worth the work. Imagine how long it must take him to get ready in the morning. He’s gotta put the armor on and the cape and the helmet and the boots then he’s got to lint roll the whole mess, because everybody knows black shows every speck of anything. This Darth Vader likeness is hand-painted and made of ceramic, so it holds heat well to keep drinks warm. Use it every day to add a little fun to the morning routine, or put it on a shelf to admire. This mug is BPA free. Hand washing is recommended, do not microwave.